SomNoir Eyewear News Updates and Events tagged "eyewear" | SomNoir Eyewear Co.
Excerpt from the San Francisco Chronicle's Style Section: Full article located here. For SomNoir Eyewear’s Sam Hilliard, designing eyeglasses isn’t just about fashion, it’s engineering. “With accessories, eyewear really is as close to architecture as it gets,” Hilliard said while working in his retail space at the Artful Gentleman showroom. “You’re basically creating a frame for a face. It’s part aesthetic, part equation — a marriage of function and art.” Now Hilliard is bringing his unique design skills directly to clients, who can commission him to create custom spectacles through his new bespoke services. Hilliard started SomNoir in 2008 while also designing home lighting fixtures, which he credits with giving him a greater sense of proportion and an understanding of how to highlight one’s best features. “The face and the home are no different in that regard,” Hilliard says. SomNoir’s take on classic American, sport-influenced frames conveys the same sense of form and geometry as sleek modern home design yet with an organic, artisanal feel. Since its inception six years ago, the line’s signature has been its use of humanely sourced bull horn, a high-quality material imported from India. Working with horn requires careful craftsmanship by Hilliard, who makes each pair by hand while utilizing sophisticated technology at SoMa’s TechShop. Hilliard experiments with everything from laser etching to mother-of-pearl accents in his line. 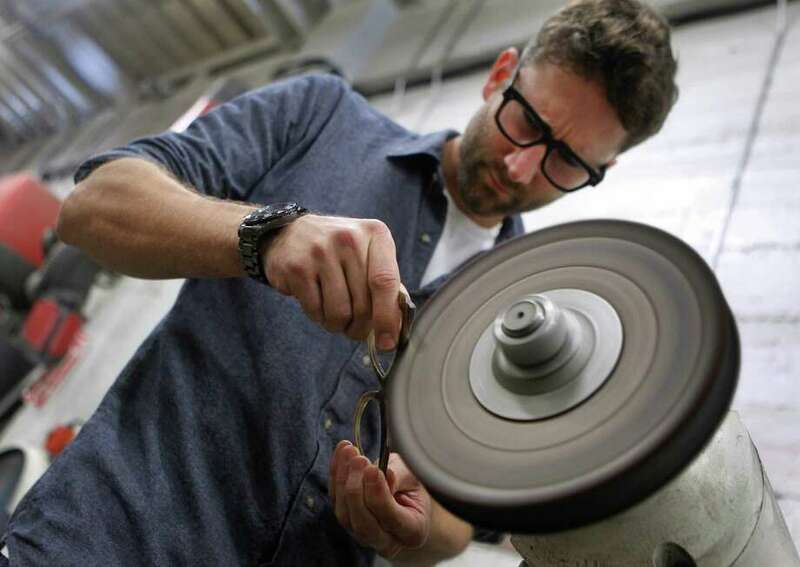 SomNoir says it is now the only eyewear company in San Francisco offering bespoke services — a two- to three-visit process (starting at $995) where clients work with Hilliard to create a unique pair of sunglasses or eyeglasses.